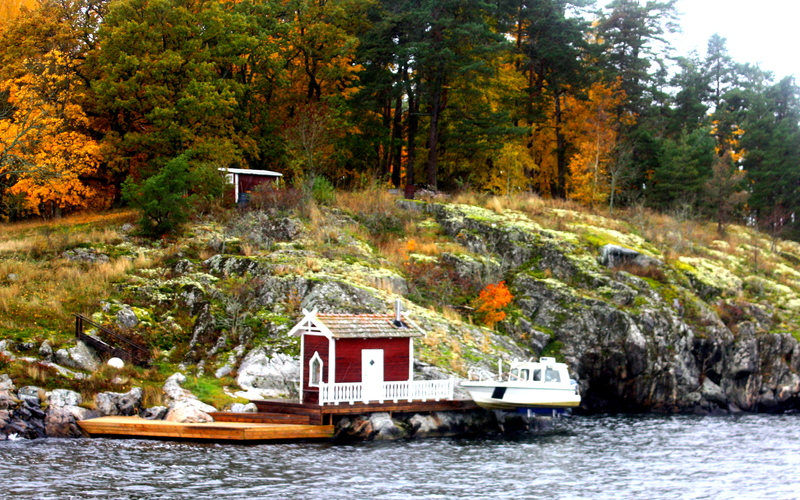 One of the greatest things about Stockholm (and what sets it apart) is the surrounding archipelago. The largest archipelago in Sweden and the second largest in the Baltic, it begins in Stockholm Harbour and extends to the Baltic Sea. From the harbour, you can take overnight ferries to Finland or Estonia, but also shorter trips on commuter ferries to some of the closer islands. 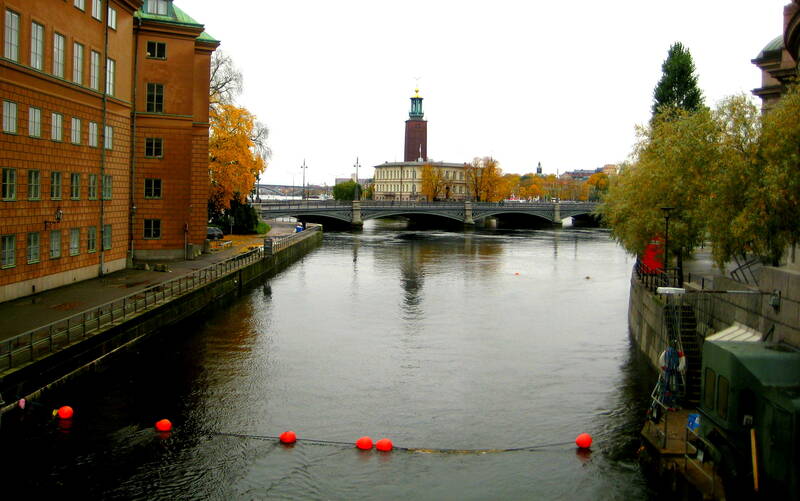 In October 2012, I was in Stockholm for a PhD trip with 11 colleagues from Wageningen University’s Environmental Policy Group. 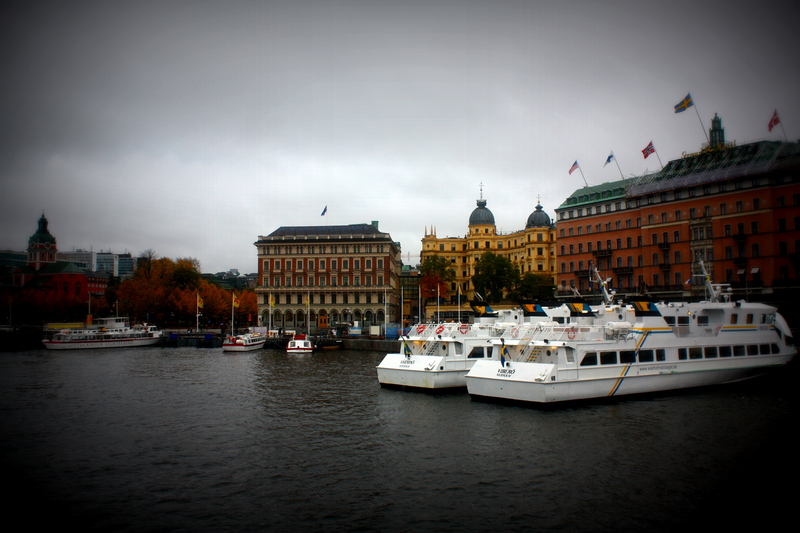 Before heading back to the Netherlands, we took the weekend to explore Stockholm and its surrounding archipelago. As luck would have it, this trip fell on one of the rainiest days, but the boat was covered and we had rain gear. Besides, even with the rain, the trees, ripe in their autumn colours, shined in orange and yellow – somehow making up for the lack of sun. We hopped on the ferry to Vaxholm, stopping a few times along the way to pick up (or drop off) passengers at other islands – many of these islands only have a few inhabitants and no roads. 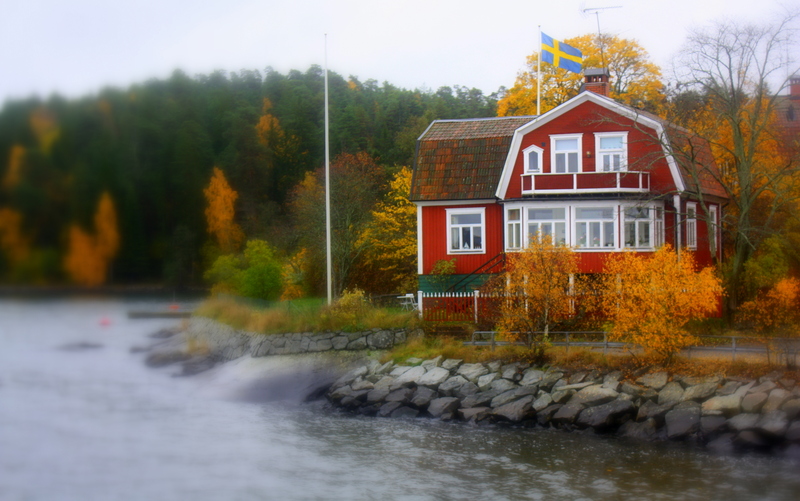 Vaxholm (population 5000) is the largest town in the island vicinity – the archipelago’s capital city. The sight of a fortress built in 1549 to protect Stockholm and surroundings, a town by the same name was established (in 1558). It is a charming summer village, full of sailors, vacationers and sun-seekers. I have been before with friends in July, but this October day we were not so keen on the exploration due to the weather. Hungry and wet, we were eager to find the closest restaurant in our vicinity. As luck would have it, we (11 eco-minded PhD candidates) stumbled upon an ecological bistro specializing in local seasonal cuisine called Sva marga mat. 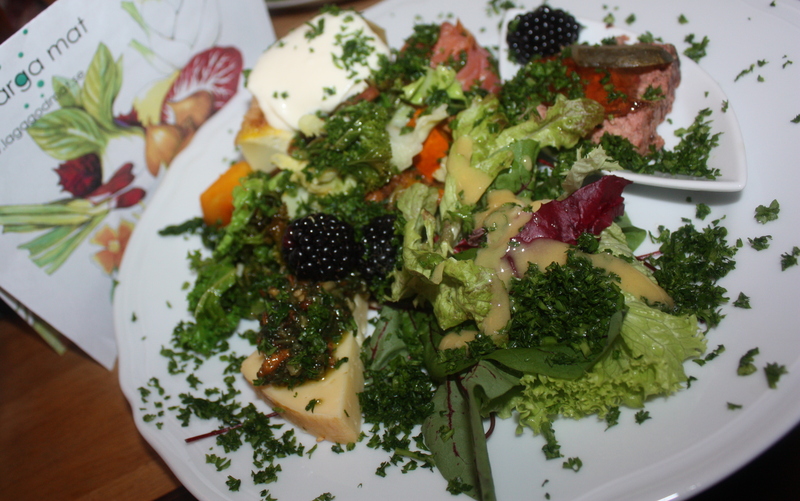 The food was excellent, blending traditional Swedish flavors carefully for the modern palate. 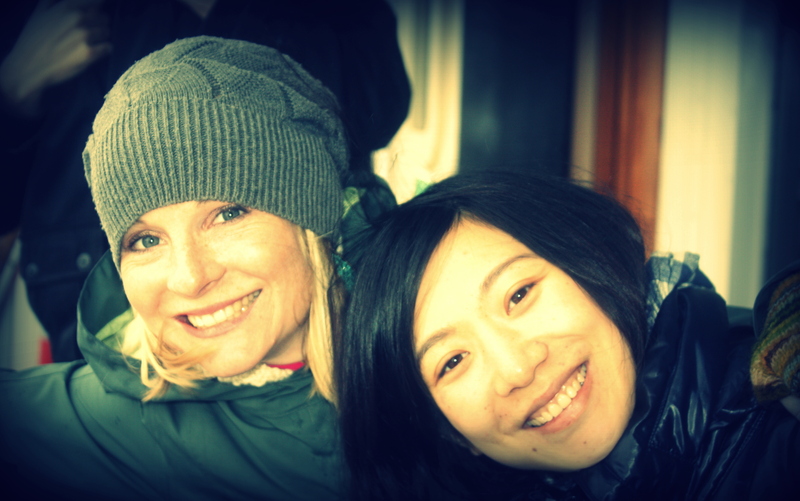 My Chinese friend told the waitress it was the best meal she had in Europe (after a 4-year PhD)! And there wasn’t even rice, her self-proclaimed favourite! I was equally impressed and would gladly go back again – perhaps every season, to taste the variety. Anyway, while Stockholm is a beautiful city (and there is plenty to explore within city limits) this time we also enjoyed an urban escape. After all, with a great public transport system (in this case a ferry) we could escape a few hours, and be back to enjoy the city. 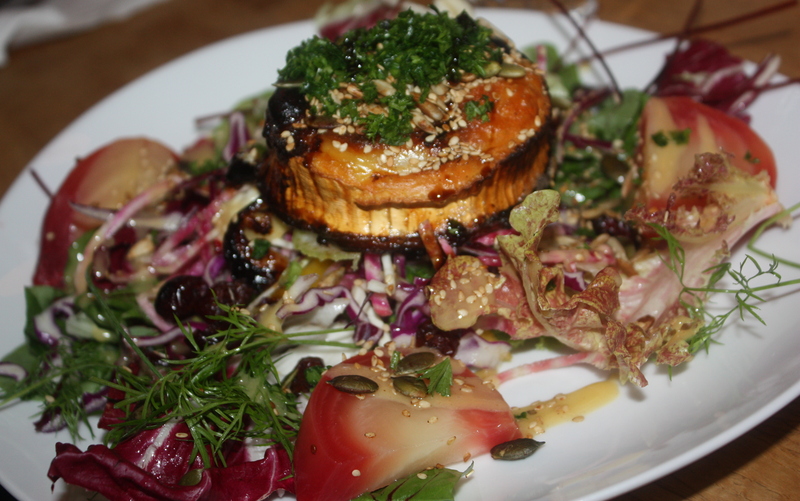 Seasonal veggies, lingering berries and local fish: yum! Find out more on their website, but remember the menu is always changing! 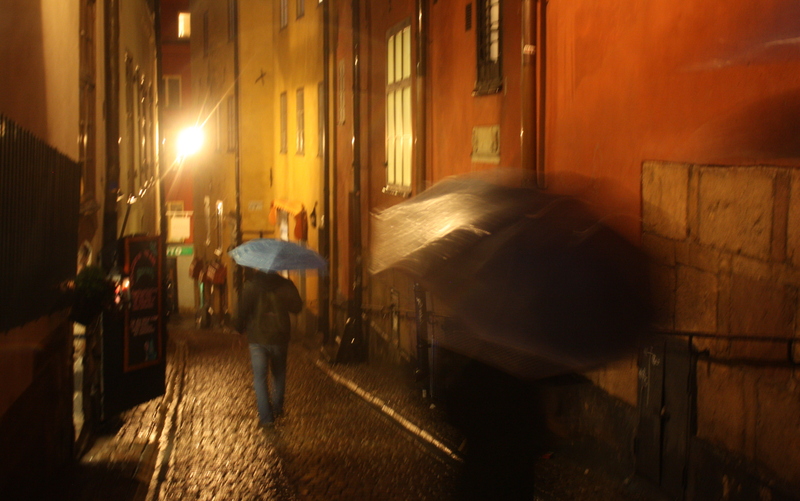 Still raining… no wonder they paint their buildings in bright colours! Going to Stockholm, take some time to explore the archipelago. There are many tour companies or ferries that will take you. We took: www.waxholmsbolaget.se. i really enjoyed reading this. thanks. Next Post Stuttgart: taking your bike on the tram? No problem!